Product categories of All In One PC, we are specialized manufacturers from China, All In One PC, Touch Screen PC All In One suppliers/factory, wholesale high-quality products of Thin All In One PC R & D and manufacturing, we have the perfect after-sales service and technical support. Look forward to your cooperation! All in One PC with Android 5.1 or above systems. 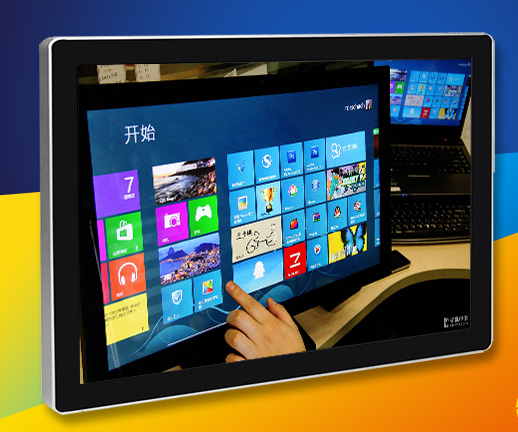 Projected Capacitive Touch Screen makes it supportable for max 10 touch points.Sizes from 10.1 inch to 32 inch. 1. Video synchronization: Audio and video synchronization; Program fast switching. 2. Deployment management: Distributed deployment; Centralized management. 3. Real-time play: Real-time setting and modification of audio and video, pictures, text and multimedia contents. 4. Full support: Various conventional audio and video formats and support for 1920 * 1080 HD display. 5. Multiple subtitles: Support Chinese and English rolling subtitles; Multi subtitles scroll direction and mode selection. 6. Program customization: Control program play list and play mode by program. 7. Easy playing: Support local downloading and streaming media playback mode. 8. Smart play: The player will automatically play the specified program list, which will support the timing of dormancy and recovery. 9. Support network: Multiple ways like Ethernet, 3G or wireless network. 10. Remote management: Remote program transmission and management which can monitor the working status of a large number of players in real time. 13. High integration: Set an LVDS/USB/WAN/HDMI/VGA/CVBS/SATA/WIFI/WCDMA; Simplify the machine design; Support insert SD card and connect SATA hard disk. 14. High definition: Support LVDS signal lcd display with or below resolution of 1920*1080. Better demodulation of various input signals, including powerful audio and video processing functions which an output high-quality images and sound quality. 15. Super video codec: Supports Full HD (1920*1080p) video decoding; Supports AVI, MPG, RM, RMVB, FLV, MP4, VOB, WMV, MKV and other formats.